Until you cross the Savannah Way "you’ve no idea how off-the-scale this place is,” says Catriona Rowntree. There are few places in the world where you can drive 3700 kilometres without ending up in the ocean or another country, but it’s not just the distance that makes the Savannah Way epically justified at its place. Featuring 15 national parks, five World Heritage areas and half our continent – yes, from the lush foodie Cairns Hinterland all the way to the unimaginable colours of Broome – this is one journey that really underlines the magnitude of our continent. “Until you go, you’ve no idea how off-the-scale this place is,” agrees Catriona Rowntree. 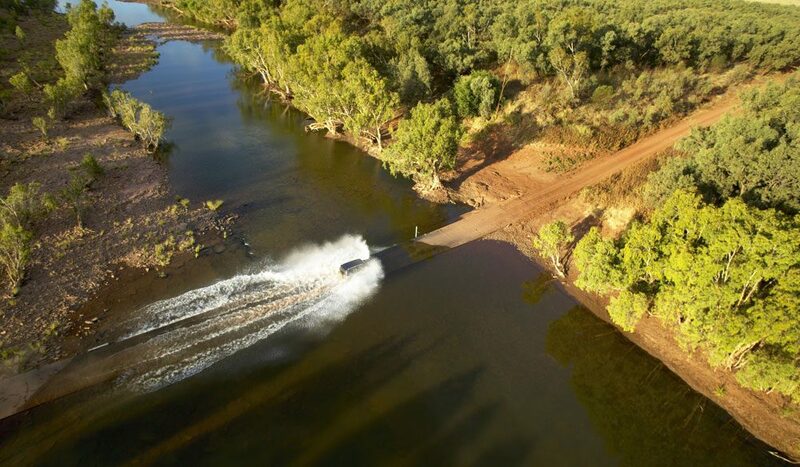 This is where, among the emptiness of the dry plains, the fullness of the wetlands and the colourful characters found along the way, you’ll uncover a truly Australian adventure.